Eternity skulks between mile markers on I-65. It taunts you with its vacuous stare as you fly past the Munfordville exit in Kentucky at 82 MPH. It smirks at you as you roll past Scottsburg, Indiana, a Walmart Supercenter looming like a monstrosity’s incarnate bellow just west of the freeway. It yawns in utter disregard as you espy signage for Zionsville—no heavenly city on a hill here, it pantomimes. Just the unremarkable halfway point in your journey home. To be frank, the trip from Nashville to Milwaukee is rather easy to swallow when you’re sipping a ginger ale on ice from the aisle seat aboard a Boeing 737. But we were in a Jeep Wrangler. And I didn’t even have a ginger ale. Get wet, you die. Pressing again forehead to glass, Worsley’s mantra rang loudly in my mind, louder even than the ’90s gangsta rap that thumped from the Jeep’s stereo system in antagonistic waves of 808s. What I wouldn’t give, I thought, to be out in the cold, damp autumn drizzle now—anywhere but here, five and a half hours yet from the Wisconsin-Illinois border, stuck on this endless track of road. For Worsley, the mantra manifested itself in numbing little reminders as he pushed through exhaustion day after day, moisture from each exhalation freezing instantly to his face. Eyelashes cracking with every blink, tiny tethers of ice clinging to his beard like some strange breed of extra-pelagic barnacle. He was alone in this frozen wilderness. Just a pair of crosscountry skis and the engine of his own two feet—fueled by a mixture of sheer will and endurance—hauling a sled of provisions behind him on the ice like a bipedal beast of burden. For 70 days, across nearly 800 nautical miles, he trudged. And on Day 71, just 100-some nautical miles from the crown of his final destination, Henry Worsley could trudge no more. He pushed the button on his iridium satellite phone and signaled for an emergency evacuation. It is, I admit, utter folly to suggest our journey home from Nashville was in any way similar to the trek of antarctic explorer Henry Worsley. To do so would be to multiply superlative by hyperbole. Be that as it may, One man’s Middle America is another man’s icy Antarctica. And while it can be said that I may, at times, suffer from a particular bent for journalistic embellishment, suffice to say, after just a few hours in the backseat of that Jeep, I was ready to hail for my own emergency evac. If only I had an iridium sat phone! Alas, I did not. We pressed on. The rumor of Home blinking like a mirage in the far distance through encroaching twilight. Fauxdysseus, sitting in the back seat of a Jeep, eating a bag of Honey Sriracha Combos. Next time we do this, I call shotgun. But I’m getting ahead of myself. Let me back up a bit and explain precisely what we were doing in Nashville in the first place. Nashville, Tennessee. 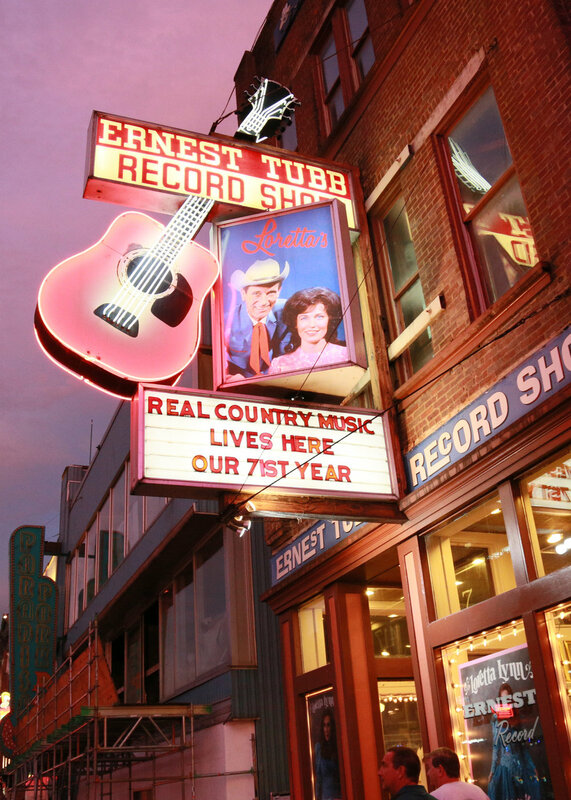 It’s the capital of Country music. Home of Johnny Cash, Dolly Parton, and Patsy Cline. The Grand Ole Opry, the Ryman Auditorium, and Hee Haw! If you’re in the music industry and you don’t live in LA or New York, chances are you live in Nashville. For us, this was magnetic. A city with heritage and culture and sway. The ideal backdrop for this year’s Manifesto Guide To Intentional Gifting. The answer, in short, is a gift guide. Which is to say, a guide to gifts, selected with intention by the team at Manifesto as a way of saying, Hey, client, family member, friend, prospect, guy-we-met-at-the-coffee-shop. Here are a bunch of brands we’ve got a lot of heart for. And we think you’ll dig them too, so check ’em out. By and large, these are brands that, by our estimation, do it right. Brands that take the high road or the road less traveled, and often both at once. They get their hands dirty, avoid shortcuts—because they believe doing it right takes time and effort and sweat and calluses. These are brands whose work ethic requires a kind of courage, the kind we admire. And every year, we put one of these gift guides out into the world during the holiday season thinking you might deem something within its pages worthy of your loved ones. Or maybe even yourself. So last year, we picked a dozen products and camped out in Wisconsin’s Driftless Area for a few nights to demonstrate the way a product can enhance or shape an experience. This year we wanted to turn the physical selection of products into the experience itself. So we altered our approach, dispatching a team of six to Nashville, and set our finger to the wind. Anyone can google Cool stuff to buy in Nashville and walk away from their computer with a list—one hundred items long—of recommended items, all in the time it takes to brew a cup of coffee. But we decided to go find them ourselves. Because it’s one thing to hit up a search engine, it’s another thing entirely to experience a city for yourself. To immerse yourself in its culture firsthand, stumble down its side streets, glean a sense of its natural vibe. It’s the difference between reading a history book and having actually lived it. The difference between catching an album review on some podcast and dropping the needle into the groove on a 45, dimming the lights, and letting the sound waves wash over you. We didn’t want to simply be shown, we wanted to discover. We were given one objective: To have fun. And we did! Absolutely, we did. (How could we not?) It’s the kind of experience we crave, the mathematical equivalent of two plus two: To aim for an authentic experience by setting your internal GPS to the heart of a city (in our case, Nashville), and uncovering its hidden treasures. The sign at Taco Mamacita read, If you can read this, you need another margarita. So we followed suit. Another round of margaritas and another order of chips and house-made guac for the table. We were here, after all, to celebrate our spoils. The day’s acquisitions. The hidden treasures uncovered on our journey. Only, we hit a bit of a snag (at least, at first, we thought we did). Sitting around the table that night listing off the items we’d found, we realized … we’d come to Nashville to find a trove of giftable products, but instead, what we found were people brimming with passion. 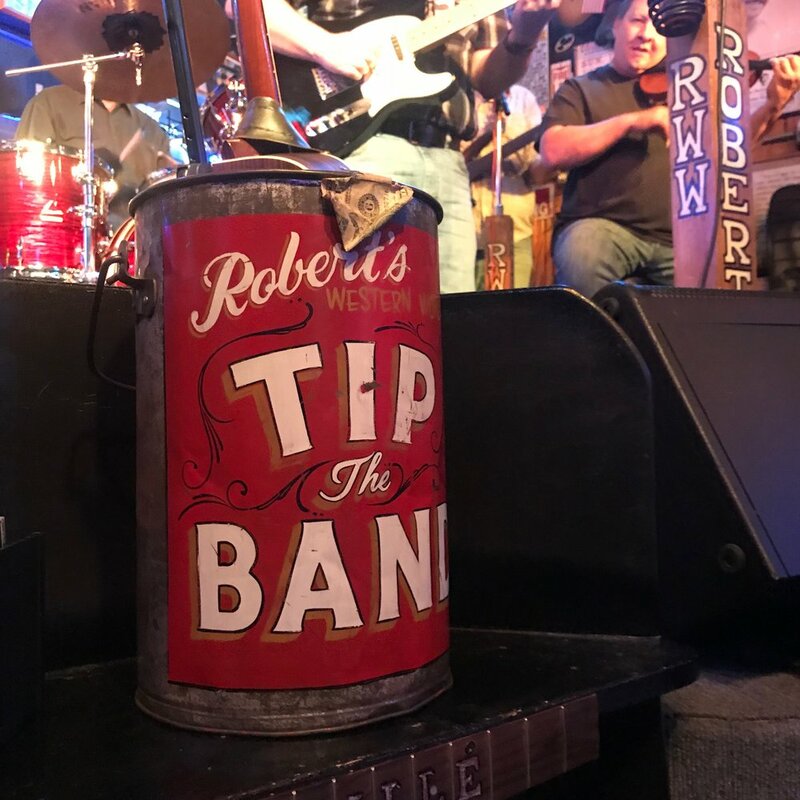 In seeking out the sui generis of the city, we’d bet all our chips on finding the physical objects that might engender a certain affinity for Nashville. And while the selection of items in this Guide To Intentional Gifting could, admittedly, be found anywhere—a pair of raw denim blue jeans, a couple prints, a T-shirt, some leather chukkas, a set of chocolate bars, a vinyl record, etc.—what makes these items truly unique isn’t so much the fact of the object itself, but the story of, and indeed the people behind, their creation. While we sipped at our freshly topped off blended margaritas, ready for our tacos to arrive (any minute now! ), we followed the current of conversation as it flowed toward a confluence of story, fertile waters teeming with tales of the people behind the products. There’s Jack White of Third Man Records, the bodhisattva of vinyl, who’s helping shepherd the record renaissance of the 21st Century. There’s Derek Evans and Matt Blinco of Project 615, who founded the brand as a way of raising awareness and funds to help the homeless, and who’ve since donated nearly half a million dollars to world-changing causes, while personally employing more than 50 individuals transitioning out of homelessness. We went around the table, one at a time, sharing the stories we’d stumbled upon in our quest to find the perfect items for our gift guide. Stories fueled by passion and courage, epitomized by the people behind the brands. Stories that reminded me at once, in their own simple way, of Henry Worsley’s story, and the passion that led him to the Antarctic wilderness. No, our adventure in Nashville bore no resemblance to the trials and challenges he faced on that frozen continent—hell, the closest we came to Get wet, you die was finding ourselves locked outside our Airbnb at 2AM on the rooftop party deck as we took a soak in the hot tub (AJ, Addie, and KG, we know it was you); not exactly life or death, but our fingers did prune a bit. Our journeys were nothing alike, but what led us to take our journeys was akin. There’s no denying the fact that passion is what fueled both Worsley and the six of us to head toward our respective destinations. (This is a passion project, after all.) 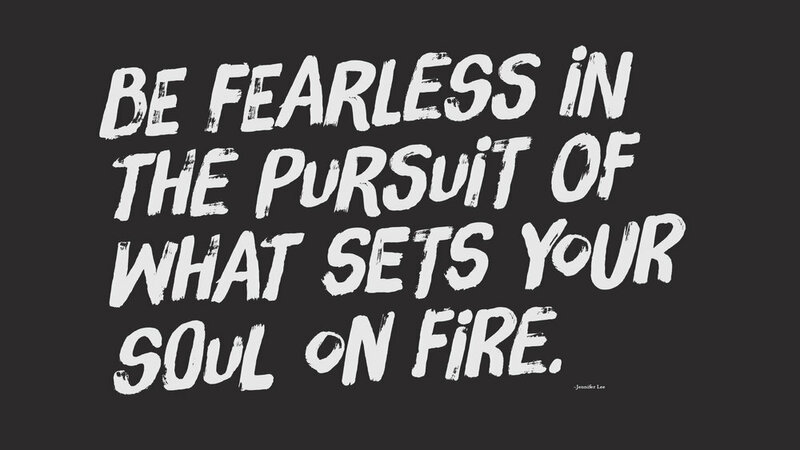 And passion is what fueled each of the creators behind the products you are about to see. It’s not the businesses or the buildings, or the products you find within. It’s the people who make them. The people who dwell there. The people who, as we discovered in Nashville, are always willing to share their story if you give them the chance. To allow you a firsthand glimpse at a world that often lies just out of plain sight…a peak behind the curtain, a front-row seat to the thing that fuels their fire. Manifesto is a brand declaration agency. Led by courage, we build human-centered campaigns and programs for the world’s most ambitious brands.